“Daycroft has been an incredible learning environment for my children. They have not only grown academically, they have also gained important social and leadership skills. It’s wonderful to see how they approach new problems with confidence and creativity. “The cultural diversity within the Daycroft community is tremendously enriching, both for my children and for our family as a whole. My children interact with other children from all over the world. I believe this will be beneficial for them as they grow, and when they are adults taking part in the global community that the world is fast becoming. “The Montessori approach to teaching allows my children to develop awareness that they are individuals who have value in their own right. This empowers them to be confident girls who are affirmed, and this, I believe, is what has encouraged their academic progress. “Do you remember who your best friend was in 2nd grade? When you stop and think about your childhood, you might realize that everything you do as a parent today will have a lasting effect on your child. “I’m thankful as a Daycroft dad that we enrolled our children here. Our slice in time of the dynamic Daycroft community began when we enrolled our oldest son about eight years ago, and sadly we have only a few years before our youngest son moves on to middle school. “At Daycroft, the teachers, children, and parents work as a team. The teachers do an excellent job of meeting the children where they are academically. They challenge students, and encourage them when they need more attention and assistance. “When it was time for our daughter to enter kindergarten, relatives introduced us to Daycroft. They had a daughter attending kindergarten at the Oakbrook campus. They spoke very highly of the school, the faculty, and the Montessori teaching method. “I visited the Oakbrook campus and met the admissions administrator, a preschool teacher, and a kindergarten teacher. Later I toured the Zeeb campus and met with the Head of School and various faculty members. Each person I spoke with was warm, friendly, and extremely helpful in answering my questions. 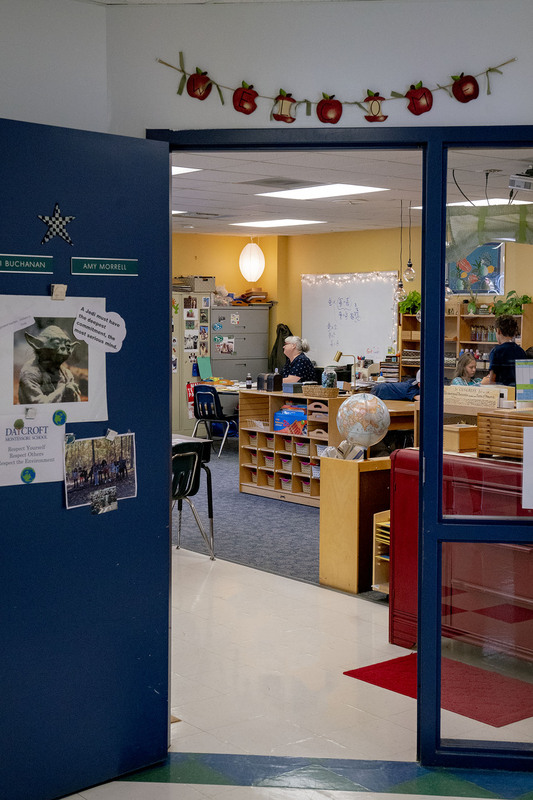 “Daycroft’s low student-to-teacher ratio, with two teachers in each classroom, and its ‘learn at your own pace’ teaching philosophy, so that truly no child is left behind, were important to us. We like the school’s emphasis on independence and creativity, along with its dedication to fostering a spirit of community among the students and their families. Daycroft’s strong commitment to cultural diversity and to developing awareness to the needs of others put Daycroft at the top of our list of school choices.